The transition from Health Canada's old medical cannabis regulations, to the new regulations removed the right of patients or caregivers to produce their own medicine. This was an important decision which, in the meantime, will prevent the violation of patients' constitutional rights to life, liberty and security. Recently, this injunction was appealed, but yesterday the unanimous decision to uphold the injunction was released, and soon after, lawyer Kirk Tousaw tweeted, "both systems can and should exist." The transition from Health Canada's old medical cannabis regulations, the Medical Marihuana Access Regulations (MMAR) to the new regulations, the Marihuana for Medical Purposes Regulation (MMPR), removed the right of patients or caregivers to produce their own medicine. Under the new program, cannabis can only legally be accessed through commercial producers, called Licensed Producers. However, a group of patients have launched a constitutional challenge, which is being heard in late February that will address ideas of affordability and patient care under the MMPR. Leading up to this case, in March 2014, patients with a valid authorization to possess and personal production license were granted an "injunction," which preserved their growing rights until the court case. This was an important decision which, in the meantime, will prevent the violation of patients' constitutional rights to life, liberty and security. Recently, this injunction was appealed, but yesterday the unanimous decision to uphold the injunction was released, and soon after, lawyer Kirk Tousaw tweeted, "both systems can and should exist." Imagine an outcome where aspects of the MMAR, namely personal growing, are coupled with the emerging legal medical cannabis market, simultaneously. Individuals can choose to grow their own cannabis entirely, subsidized some of their supply with a Licensed Producer, or completely utilize LPs as their route of access. This could mean the solution to a few of the larger problems of the MMPR -- many centred on affordability and strain selection -- could be mediated by a fusion of both old and new federal programs. There were problems with the MMAR, and they were often attributed to poor legislation and follow through. No inspections of home gardens ever really happened, some question the issue of diversion and others worried about public safety, but overall, the RCMP has relatively few statistics on diversion and risk to public safety actually being the case. Susan Boyd and Connie Carter really take this point home in their book, Killer Weed, which highlights how cannabis grow operations have been targeted and demonized by media, positioned as an increasingly dangerous criminal activity. In fact, the authors analyze media reports in British Columbia, demonstrating how these moral and sensational claims have intensified the perception of grow operations as significantly dangerous and linked to criminal activity, simultaneously fuelling the Canadian cannabis war. For example, in one case the authors analyze this depicted link between cannabis grow ops and guns in media reports, citing an unreleased RCMP funded study in 2005 which found 'firearms or other hazards' in just 6 per cent of cases. Even though "...there is no comprehensive scholarly and peer-reviewed research to support claims that legal medical marijuana sites are linked to criminal elements or pose safety hazards to children," as the authors write, personal growing rights for medical patients in Canada are certainly intertwined against a complex political, legal, economic and cultural backdrop in Canada. Canada does offer, however, one of the first federal level medical access programs in the world, a right that was not easily won. We should certainly see our medical cannabis program (although there are many issues that need to be sorted out) as a progressive step in the right direction. Medical cannabis emerging as this new market under the MMPR also seems to be paving the way for an inevitable legalization for recreational users as well. This would mean Licensed Producers would be at the forefront of this potential new market, and if they told you that wasn't part of their long term plan, I bet they'd be fibbing. In one way, the normalization of cannabis for medical purposes is really lending a hand to the risk/harm discourse around cannabis, more researchers are taking an interest in cannabis related studies from institutions and organizations across Canada, and doctors are slowly but surely coming around to learning about cannabis. More doctors are stepping up to the plate to organize and educate about cannabis. Let's face it: doctors want to hear about 'cannabinoid therapy' from other doctors. In my own research, LPs have, for the most part, supported the injunction and patients rights to grow. Typically, this attitude relies on the acknowledgement that the MMPR will widen its net to a projected 400,000 patients in Canada over the next 10 years. Those who can continue to grow constitute relatively small bananas in the grand scheme of potential patients. It's really difficult and misleading to blanket the entire MMPR as "bad" and the MMAR as "good" (or whichever combination). This ignores the complex nuances, including all those different dimensions I mentioned above, that contribute to a unique political and legal context here in Canada. Instead, gearing our efforts towards thinking about how elements of both programs can co-exist will only leave us with more choices: as a patient, you could grow your own, access a legal supply and have it delivered to your front door semi-anonymously, or you could do both. The real gold star would be incorporating the work of dispensaries, whose unparalleled work seems to be continuously ignored by Health Canada, into this mix. In fact, I personally know so many patients who continue to access through dispensaries for numerous reasons: they like talking to humans in person, they like to see or smell their cannabis before they purchase it, they need access to consistently dosed edibles and extracts, and generally (but not always) prices are more affordable. Many of these same people have registered with LPs and more often access through dispensaries. You can't put a price on the "social capital" dispensaries have been proven to provide patients. Its interesting that after a relative drop off in dispensaries everywhere except Vancouver, we're seeing a real resurgence of dispensaries opening in places like Toronto, Brantford, and Montreal. I believe ideas centering on how to make this program work are more productive and will produce more long term benefits for patients and patient rights. 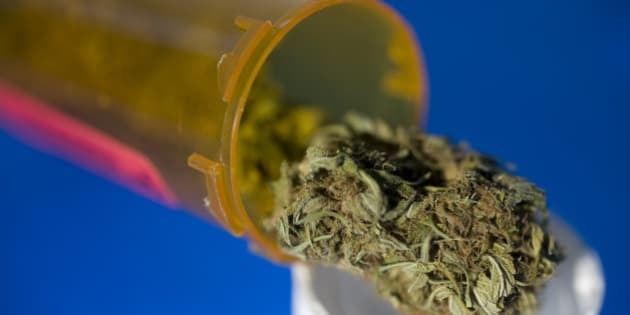 Patients should certainly be able to grow their medicine, and this ensures patients aren't left with insufficient reasonable access, stifling their liberty and forcing many to risk criminalization over a right previously granted. This blog previously appeared on Lift.